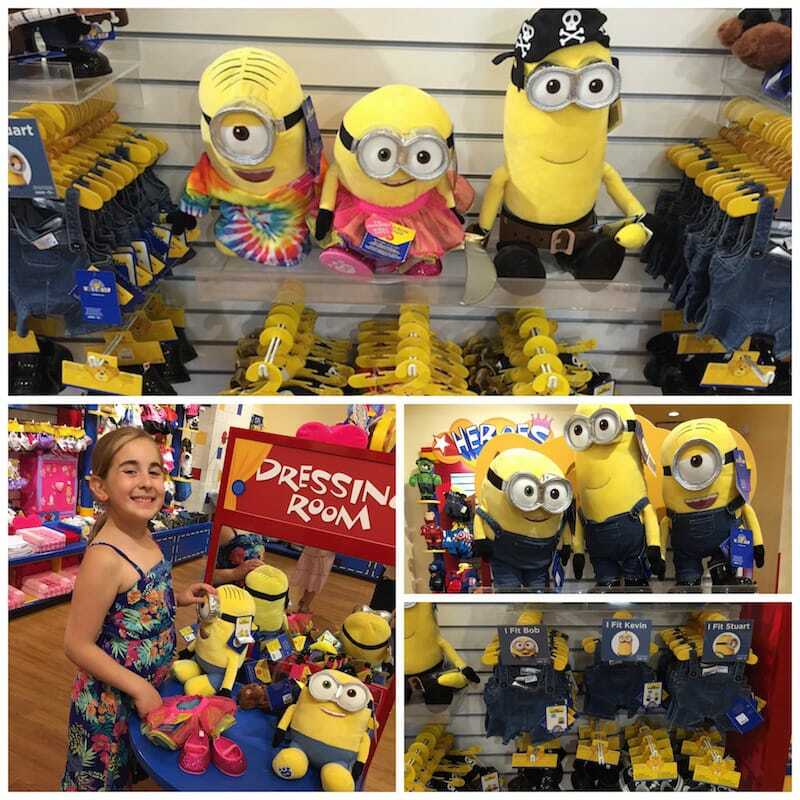 Lady and the Blog → Living → Product Reviews → For Kids → Build-A-Bear Introduces Minions And We Love Them!! 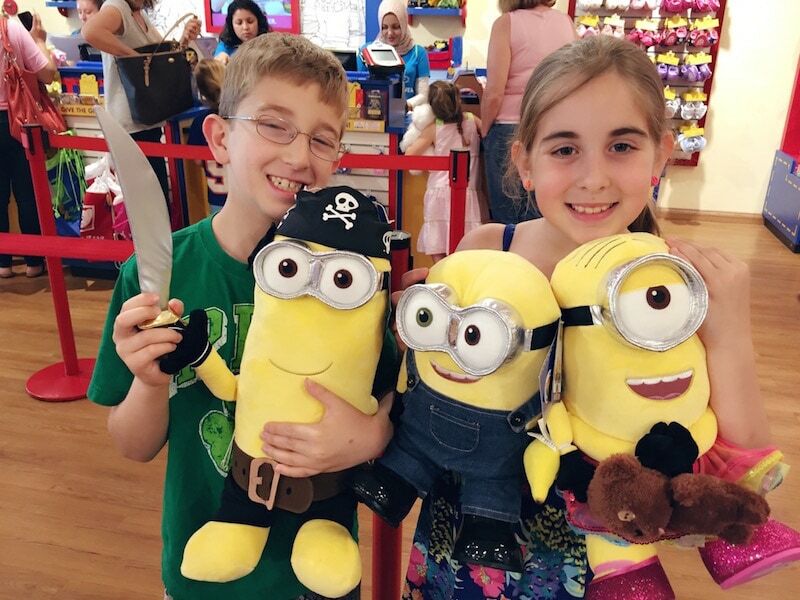 Build-A-Bear Introduces Minions And We Love Them!! 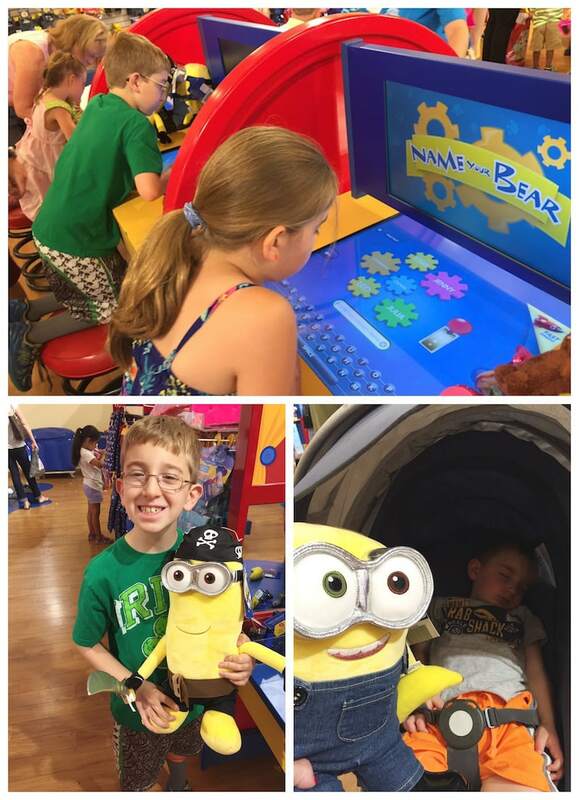 The kids had so much FUN making minions at Build-A-Bear this weekend. 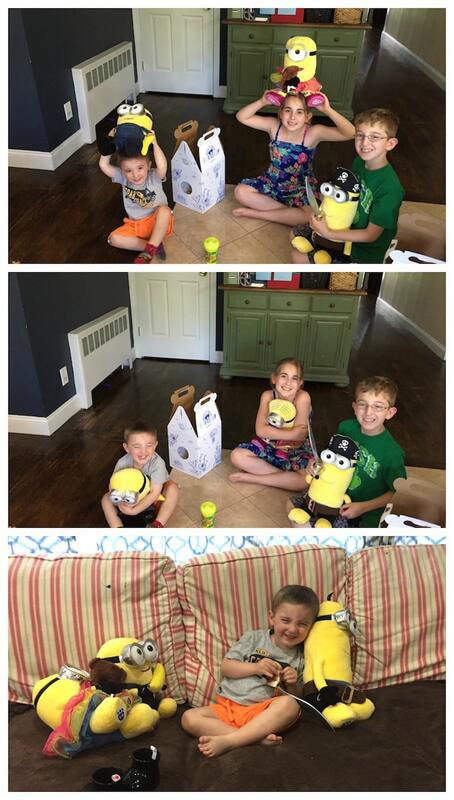 I surprised them with a little trip on Sunday and allowed them to each make a stuffed friend from the upcoming ‘Despicable Me’ movie. Fun. Fun. Fun! We opted for one of each and had a blast putting them together. 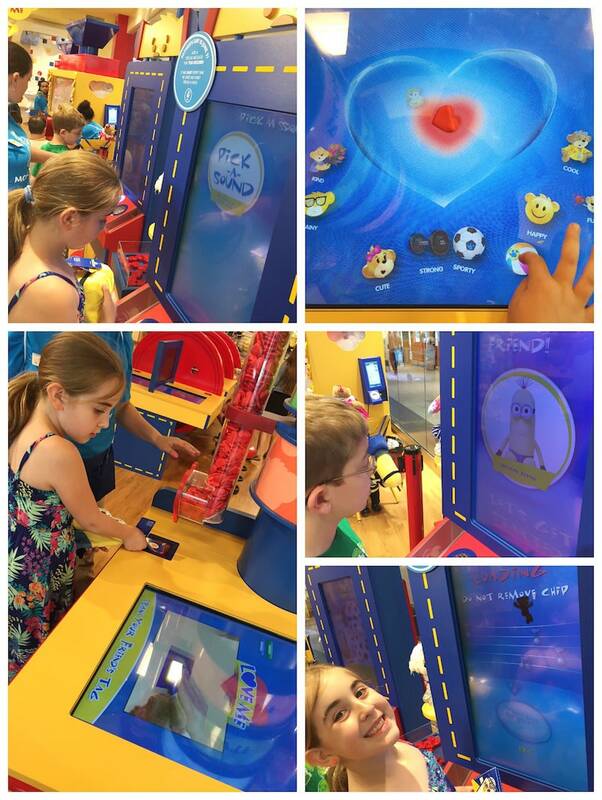 It’s been a while since I visited Build-A-Bear and BOY has it gotten a tech upgrade. When you first start creating your stuffed animal, you begin at a computer screen that allows you to add a variety of qualities to your friend. Will they like sports? Are they happy? Are they cute? You can add them all!! The kids love this customization and personalization. You could even add a sound – one that you create on your own or one that Build-A-Bear provides. Here’s where it gets exciting for the little ones. You can opt for a sound that GOES with your stuffed animal… or you can change things up! Natalie chose a Frozen song for her doll. Liam opted for a dinosaur roar. Only Caleb chose a minion sound for his minion. LOL! Once we finished up with this section, it was time to stuff and shut. 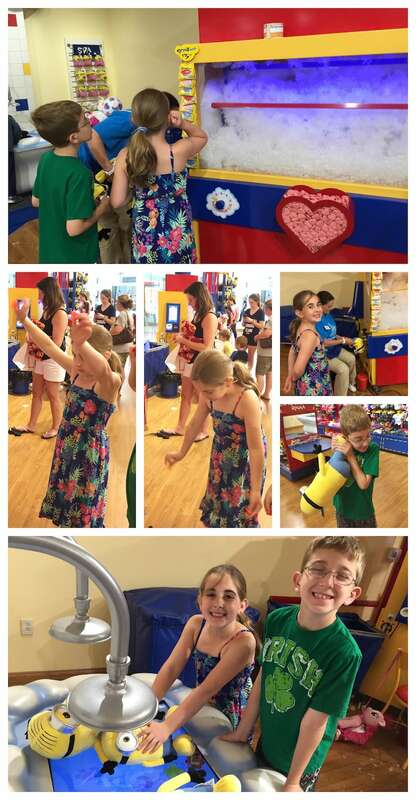 After a quick little dance with the toy’s heart in their hands and a little conversation about hugs and love, the team got to work and created their Minions. I love that they put a barcode inside each and every Minion – that way if they get lost at certain hotels, they can be returned! A quick scan will easily reveal who the owner is of each Build-A-Bear creation. Don’t you love that?! I was FLIPPING OUT! We’ve lost a few toys along the way during our travels. So, I know that parents will love this service. Of course these minions needed outfits and so the kids got busy showing off their personal styles. Natalie went for the pink tutu … like a HAWK in the wind. Liam chose a pirate costume which was pretty fitting as well. LOVE the options that were available for these new additions. At the end, you create a birth certificate and register your doll. This is how Build-A-Bear will be able to find your doll should you lose it during your travels while staying at participating hotels. For more information about their Find-A-Bear program, click here. We are SUCH huge fans of Despicable Me. HUGE HUGE HUGE fans! The new Minions movie hits theatres in July. The kids have decided that they are going to bring their stuffed dolls with them when we go and see the flick. LOVE THAT! To find the nearest Build-A-Bear, click here.